The workers were busy, filling every last order. While others were tossed off the roof on a dare. We couldn’t help it, we filmed it—you’d think we’d act older. Our torture vids that show our handhelds are mean. It’s got one heck of a screen for an impressive view. We opened a new office in the U.K.
We wish you the best, and lots of good cheer. 12/25 and 26, and 1/1 we’ll be closed. Merry Christmas from all of us, and Happy New Year as well! 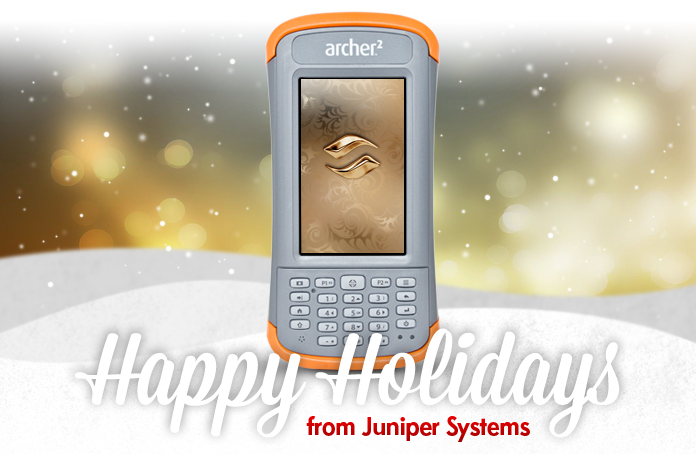 I hope all my good friends at Juniper Systems have a wonderful holiday season! Merry Christmas Karla! We hope everything is going great for you!